Less aggressive compound. Perfect-It II compound will remove 1200 to 1500 grit sanding marks. 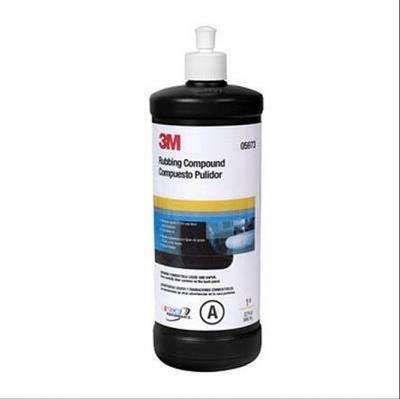 Use with a wool pad or 3M's Perfect-It Foam Compounding Pad 05723 ("1") and follow with Finesse-It II 5996 ("2") on a foam pad. A third step may be chosen which will add gloss and fill/hide any remaining swirl mark that just doesn't seem to want to come out. The Hand (Finish) Glaze 5990 is great for this and designated step number "3"
The Doctor recommends using this product when there is very little gloss left to your finish. Specially designed medium-cutting compound for reoving grade 1200, 1500 and 2000 color sanding scratches in automotive paints imcluding clear coats.